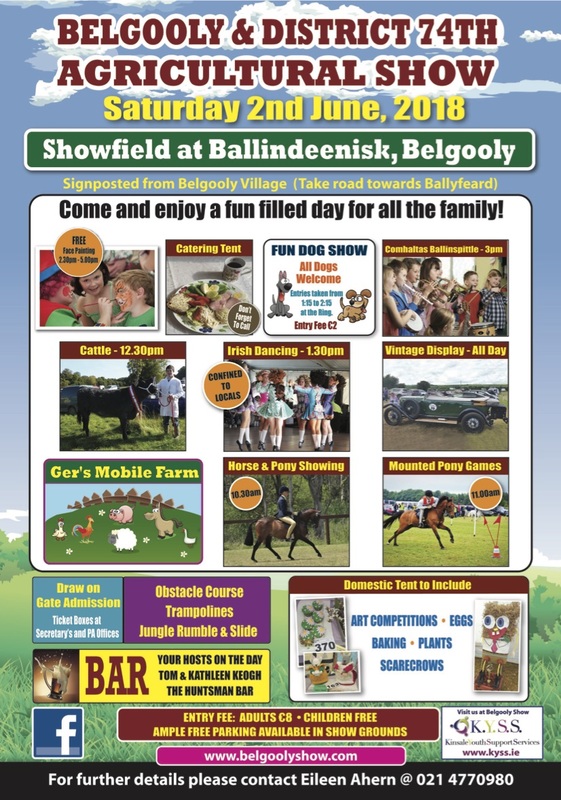 Belgooly Show is a small, traditional, friendly agricultural show which has been running since 1941 in County Cork, Ireland. There are showing classes for horses, ponies, cattle and dogs. There are also domestic classes covering a wide range of arts and crafts. Download flyer. NB THERE IS NO SHOWJUMPING THIS YEAR. PONY GAMES INSTEAD! if you didn't get a reply we don't have your entry!